Two contracts awarded by Cardiff and Vale Health Board for the provision of human resource consultancy contracts in breach of the Health Board’s own procurement procedures and Standing Financial Instructions (“SFIs”) have been referred to the NHS Counter Fraud Service Wales following a highly critical report published earlier this year by the Auditor General for Wales, Mr Huw Vaughan Thomas. Between 1 December 2014 and 31 March 2016 the Health Board entered into three contracts for the provision of HR consultancy services with a private company RKC Associates Ltd, in order to address the shortfall in the HR leadership capacity caused by the secondment of the Health Board’s Director of Workforce and Organisational Development secondment as acting chief executive to the troubled Welsh Ambulance Services Trust at short notice. As part of a routine external audit of the Health Board’s accounts, the Auditor General Mr Thomas became aware of the payments made to RKC Associates for HR consultancy services under the three consultancy contracts, and that two of these contracts had been awarded without competitive tendering, making both the contract and subsequent payments potentially unlawful. A further contract with RKC Associates, in February 2016, failed to ensure the integrity of the procurement process and breached public procurement legislation, in addition to exposing the Health Board to “unnecessary financial and reputational risk”. Maria Battle, chair of the Cardiff and Vale University Health Board. Image (c) BBC. 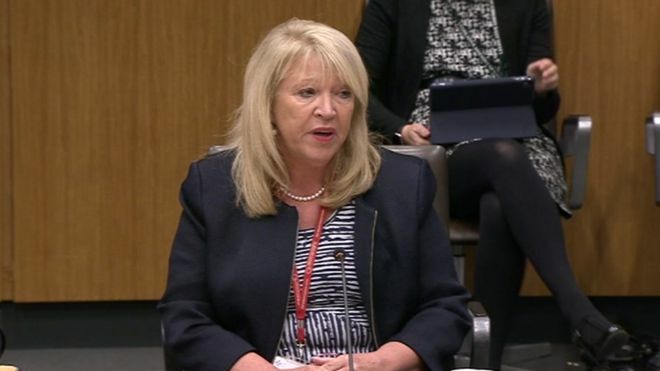 The Chair of the University Health Board, Maria Battle (pictured) appearing before members of the Welsh Assembly’s Public Accounts Committee earlier this week apologised for the failing’s in the Health Board’s corporate governance processes, adding that the failures identified by the Auditor General were “deeply disturbing”. In a written submission to the Committee, the Health Board identified that it had undertaken an internal review of all manual payments made to individuals between 2014 and 2017, for invoices in excess of £5,000, a total of 227 contracts in total. Of which, the review found 10 contracts which had been commissioned over the last three years with no procurement oversight. “Two of these contracts have been referred to NHS Counter Fraud Service Wales,” the written submission added. It is not immediately clear what the contracts referred to NHS Counter Fraud Wales related to. This case is a clear reminder to all public authorities of the importance of not only having clear procurement and contract award processes, but of actually following them, and the severe reputational damage that can be caused by a failure of assurance and governance requirements.